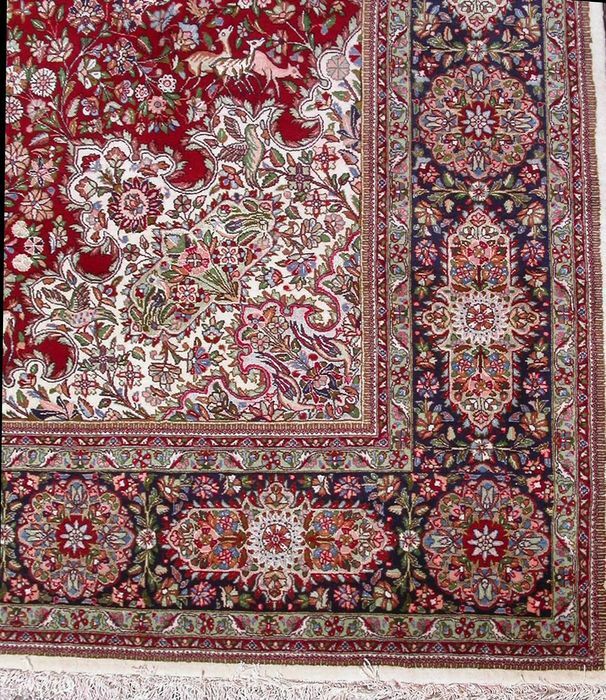 An excellent and stunning carpet, rare and authentic. 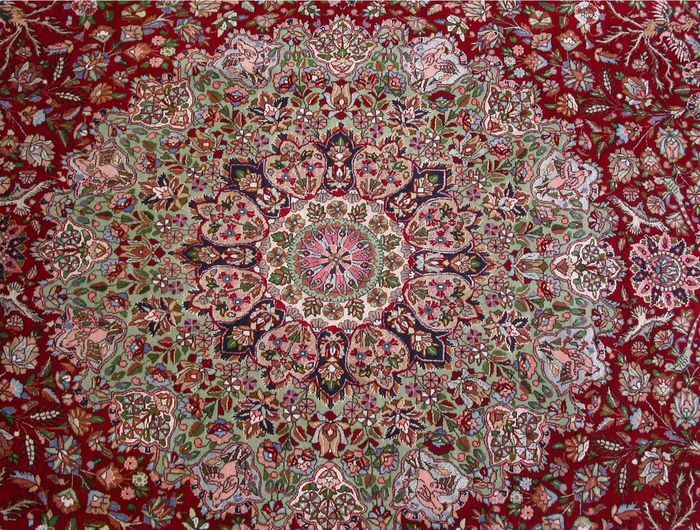 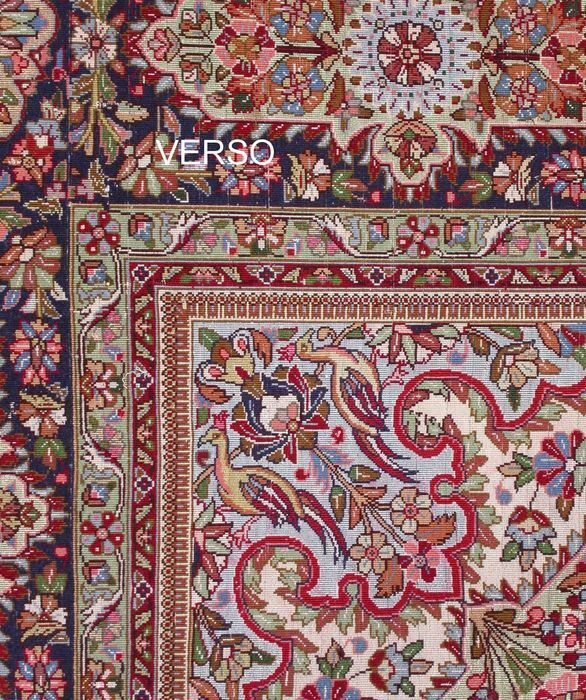 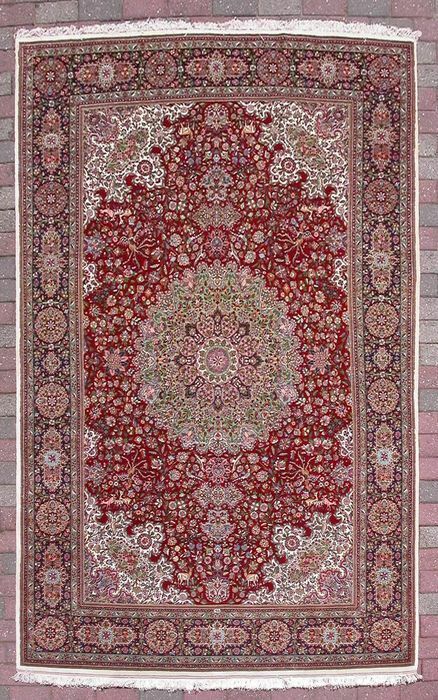 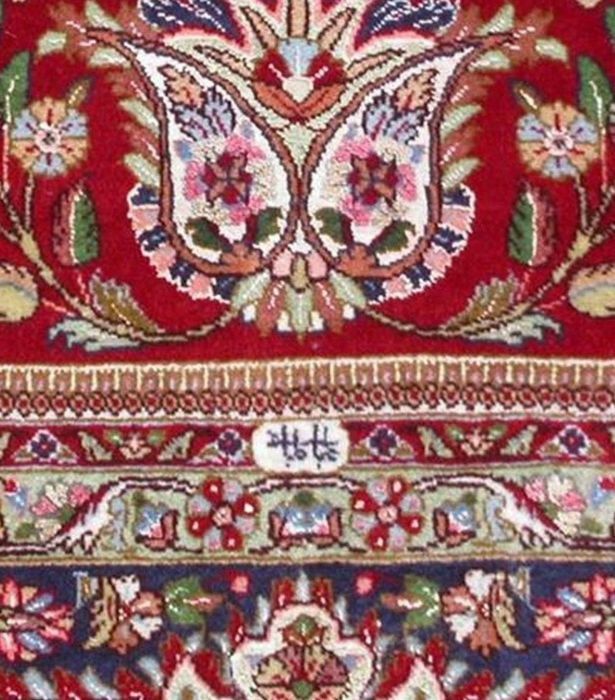 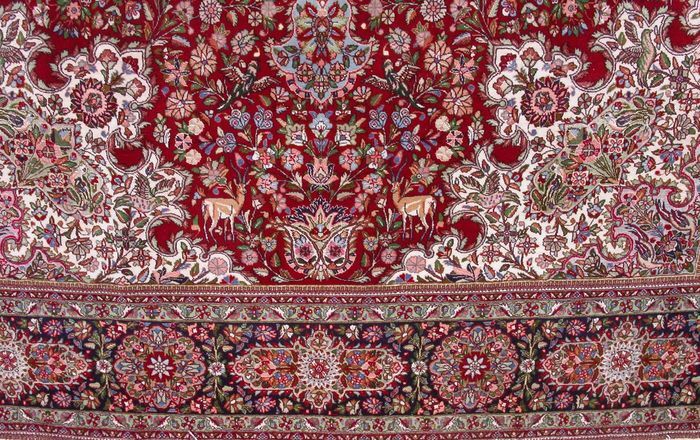 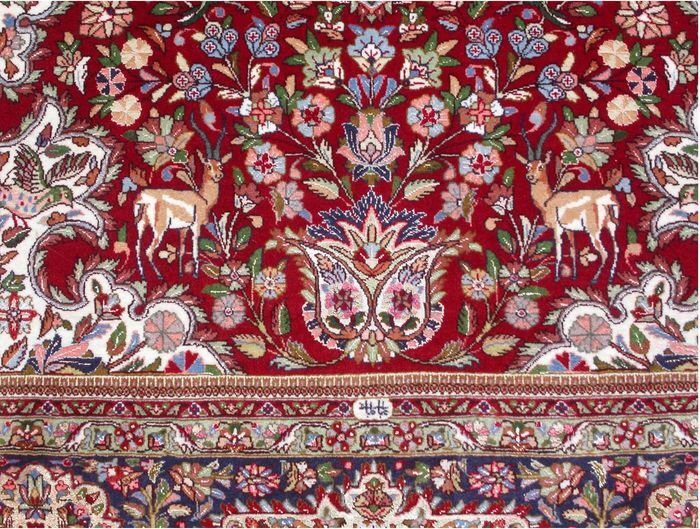 Very finely knotted by Tabatabai, a renowned weaver, known for the quality of his carpets. 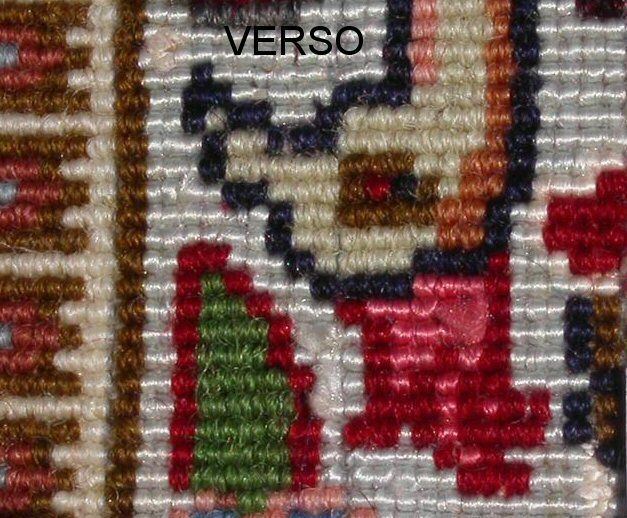 Cork wool, silk accents - woven on a silk weft. 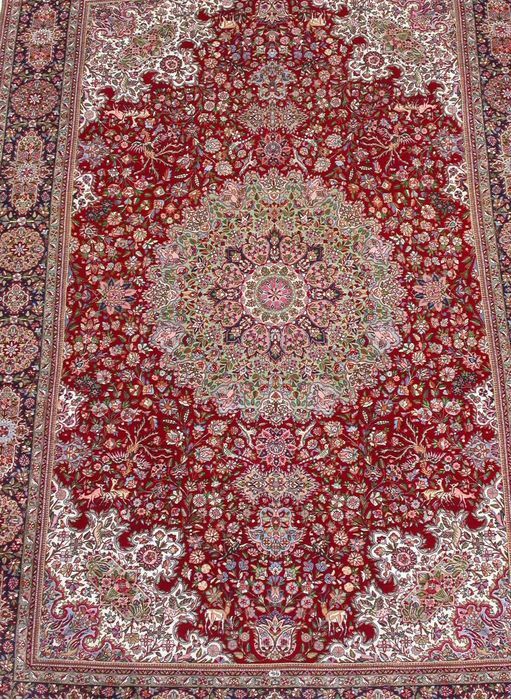 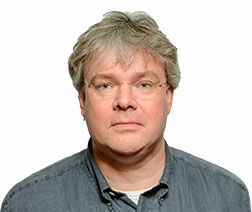 Rare: approximately 950,000/1,000,000 knots/m² (see photo). 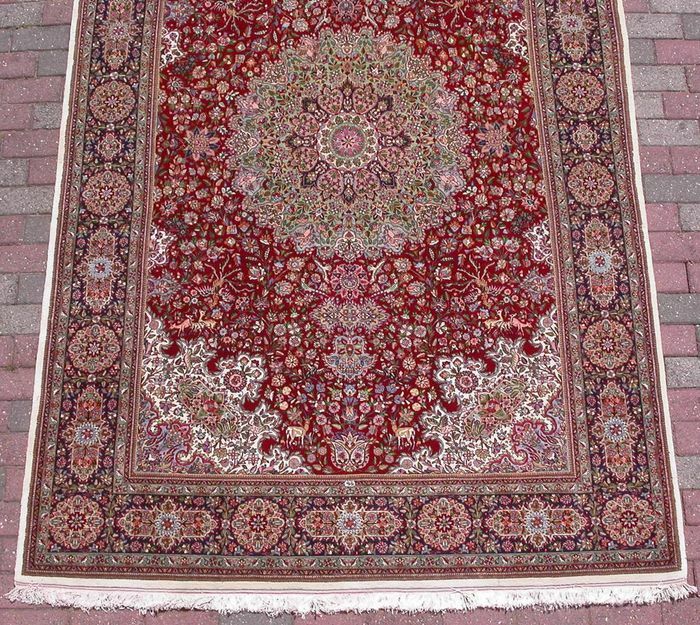 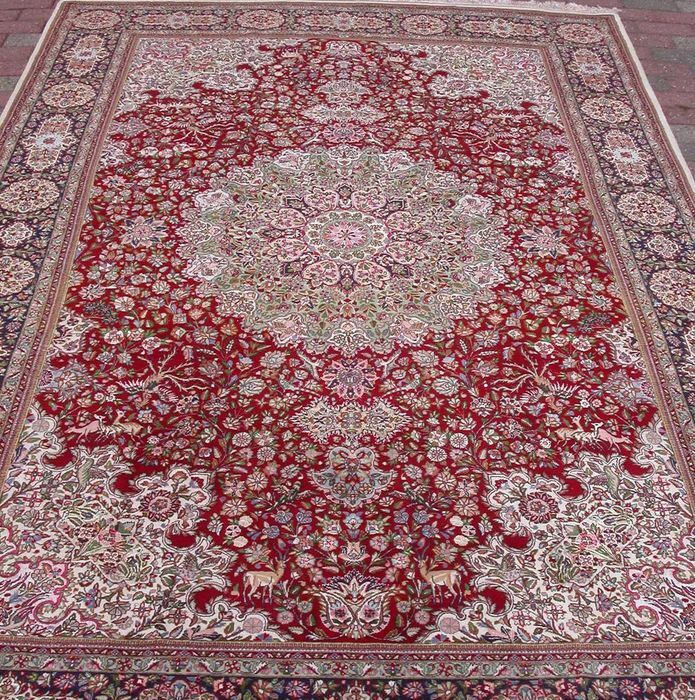 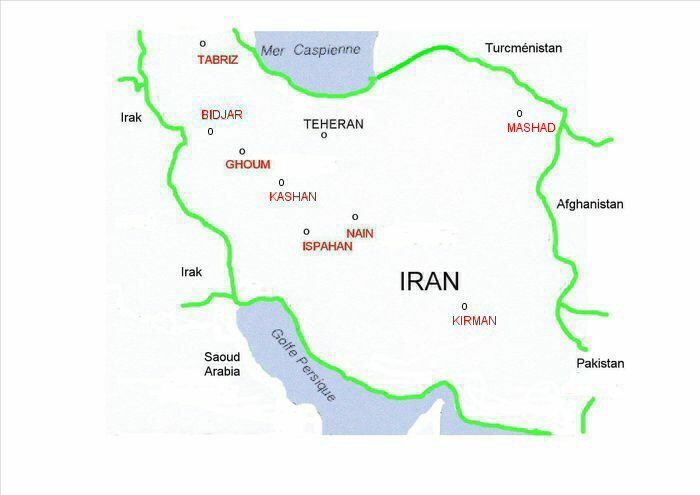 Carpet exported from Iran before 1 January 2015. 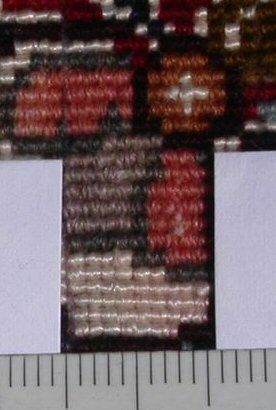 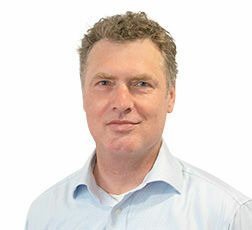 Puedes recoger este lote en persona: Limal (), Bélgica.